If you’ve ever taken a trip to Copenhagen, you’ve probably strolled through Assistens Cemetery. 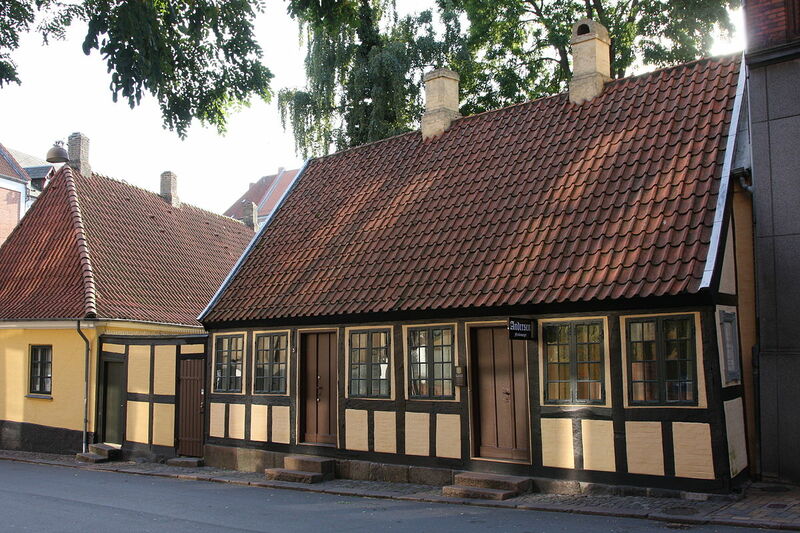 This famous area serves as the final resting place for some of Denmark’s finest minds. Just a few luminaries buried here include philosopher Søren Kierkegaard, artist Christen Købke, and physicist Niels Bohr. 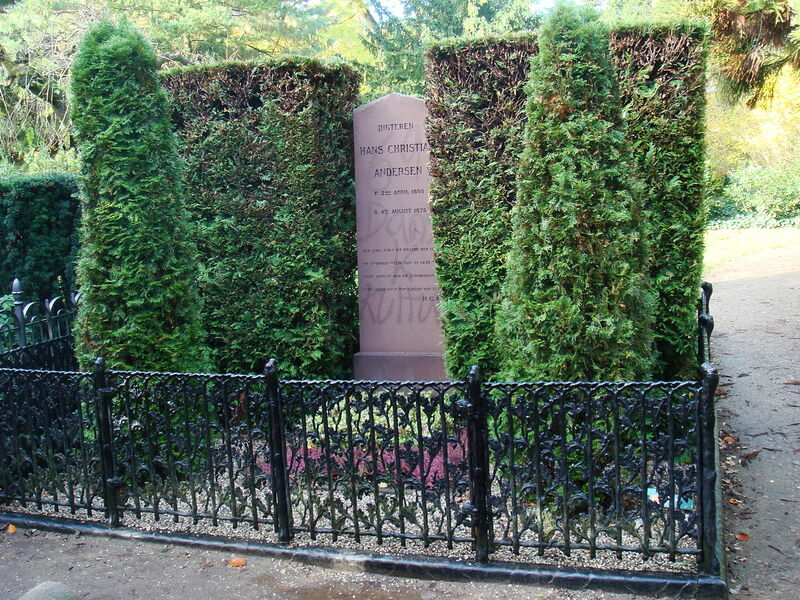 But most visitors to Assistens Cemetery only want to see one site: the grave of the beloved children’s author Hans Christian Andersen. With the possible exception of Shakespeare’s Prince Hamlet, Hans Christian Andersen is probably the best-known Dane of all time. Heck, Andersen even has his own theme parks in Shanghai, China, and Funabashi, Japan! This all begs the question: what makes Andersen’s fiction speak to so many children from so many different cultures? In this article we’ll take a quick look at Andersen’s long life and his most notable works of fiction. Andersen was born in 1805 into a lower-middle class family in the town of Odense, Denmark. Andersen’s father died when the young boy was only eleven years old. His mother worked as a washerwoman and had no formal schooling. Andersen had no brothers or sisters. Believe it or not, some historians think Andersen was the illegitimate son of King Christian VIII of Denmark and that Andersen’s “official” father was paid to hide this fact. These theorists believe that this is the only way to account for how Andersen could afford to be educated at expensive boarding schools during his youth. There has been no clear evidence, however, to suggest this claim has any validity. After receiving a bit of schooling, the young Andersen decided to try his luck as an actor in Copenhagen. Although he didn’t fare so well as an actor, people around Andersen told him he looked just like a poet. Andersen eventually decided to them at their word and try to make his living as a writer. He was further induced to continue writing by Jonas Collin, a patron of Andersen’s studies. 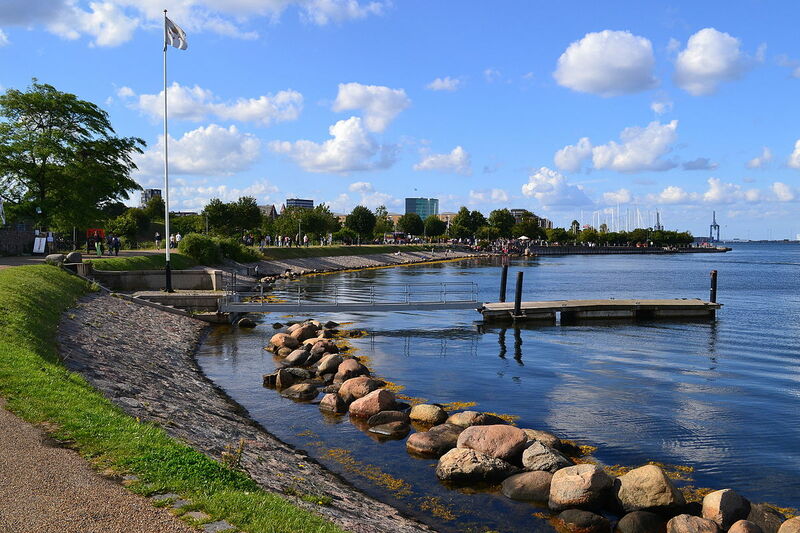 It wasn’t until 1829 that Andersen published his first successful short story: “A Journey on Foot from Holmen’s Canal to the East Point of Amager.” This work was so popular that in 1833 King Christian VIII gave Andersen money to travel around Europe for creative inspiration. Andersen travelled mainly through Switzerland and Italy on this first Grand Tour of Europe. 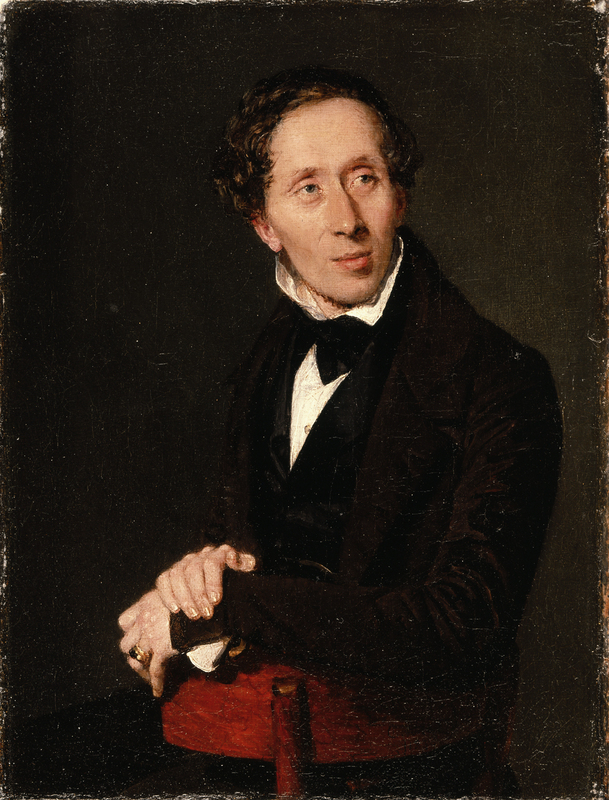 Once he arrived in Rome in 1834, Andersen began work on his first autobiographical novel called The Improvisatore. This work was published in 1835, and it instantly became a huge success in Denmark. Although The Improvisatore was far more famous in its own time, Andersen also published his first edition of Fairy Tales in 1835. Interestingly, Fairy Tales didn’t sell well when it was first released, perhaps because most people saw Andersen as a “serious” adult writer. Andersen recovered from the lackluster appeal of Fairy Tales with the publication of O.T. in 1836 and Only a Fiddler in 1837. Although these two novels are little read today, they cemented Andersen’s reputation as a major Danish writer during his lifetime. After publishing these two novels, Andersen became more interested in Scandinavian culture and history. He is well loved by Scandinavians for the nationalist poetry he composed during this period in his career. Perhaps the most representative work from this period in Andersen’s career is the poem “I am a Scandinavian” (Danish: Jeg er en Skandinav). This poem has since become an unofficial anthem for all Scandinavian peoples. Andersen continued to write a few fairy tales and numerous travelogues as the years waned on. It really wasn’t until his works were translated into English that his reputation as a first-class children’s writer grew. In 1845, English translations of Andersen’s fairy tales were published and received great critical acclaim in the U.K.
Around this time, Andersen also became close friends with English novelist Charles Dickens. Andersen first met with Dickens in 1847 and they kept in touch for the rest of their lives. One interesting thing about Andersen’s work is that it was incredibly popular with both well-educated critics and the “common folk.” In all of Andersen’s work, he always shunned the high customs of the Danish literati. Instead, Andersen favored using the Danish he heard spoken in everyday life. Andersen never married nor had any children. Some critics believe he died a virgin. A few critics believe Andersen was a closeted homosexual, but there is no real evidence to suggest that was the case. In 1872, Andersen injured himself after accidentally falling out of his bed. Doctors also discovered that Andersen was suffering from early stages of liver cancer at this time. When the Danish nobility heard of this, they ordered the government to give Andersen a lifetime stipend. Andersen was officially recognized as a “national treasure,” and the finest funeral arrangements were organized to commemorate his life. Andersen passed away peacefully in 1875 at his Copenhagen residence. He was 70 years old. Many of the world’s most precious cities have famous names attached to them. For instance, it’s hard to think of Washington D.C. without thinking of George Washington and Abraham Lincoln. Florence is inextricably linked to Italian masters like Dante, Michelangelo, and Da Vinci. Well, in the case of the Danish capital, Andersen’s legacy can be palpably felt everywhere you step. Fairy tale lovers from around the world come to see the Hans Christian Andersen The Little Mermaid bronze statue by the Langelinie pier. This statue turned 100 years old in 2013 and remains one of the top tourist destinations in the city. Round Tower (where Andersen wrote some of his most remarkable fairy tales). There are also many tours in Copenhagen dedicated solely to the various places Andersen lived in and drew inspiration from. Andersen’s novels, travelogues, and 168 short stories have charmed and delighted millions of readers around the world. The current statistics show Andersen’s works have been translated into around 125 languages, and all of his works have inspired succeeding generations of children’s writers. Of course, the only way to see why Andersen is considered one of the finest writers of the 19th century is to pick out one of his books for yourself. 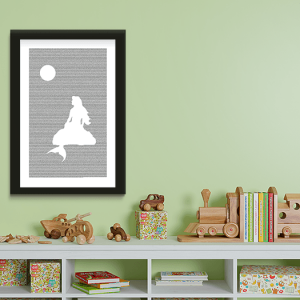 As long as there are children on this earth who dream of far away lands, you can be sure that Andersen’s classic Fairy Tales will remain in print. Today, a whole new generation has been introduced to Andersen’s timeless tales through the wonders of the cinema. While many youngsters may have never heard Andersen’s name, they certainly know most of the Hans Christian Andersen short stories catalogue. Of course, Disney took a great deal of liberties with Andersen’s tales, but most of the themes remain true to the themes of this great Dane’s original works.